Well the 2017 year is quickly about to end and the Alpine Woods Estates have a productive year based on some of the highest sales prices I’ve seen in a long time. For 2017 foreseeing no other properties sell in Alpine Woods Estates we will finish out with a total of 8 sales ranging in price from $211,500.00 and all the way up to $281,000.00 for a fully remodeled 3 bedroom 2 bathroom model with 1855 square feet. I found a average price around $245,000.00 in the Alpine Woods Estates community overall and I would expect with such a huge increase in sales prices from last year in terms of the highest sales prices I can foresee prices to settle down in the near future. Compared to sales in 2016 which was a total of only 4 sales in the community with the lowest sales price of $190,000.00 and a highest sales price of $220,000.00 a compared to 2017 there was a total increase of $61,000.00 higher sales price in 1 year’s time frame in the community. Currently there are no active listings for sale in the Alpine Woods Estates community as of December 6th, 2017. No leased or rented properties based on the MLS system that we as Realtors use for 2017. For 2016 year there was only 1 rented / leased townhome in Alpine Woods Estates and it rented for $1850.00. Alpine Woods Estates is a highly sought after community in the heart of Davie and generally properties sell fast when they become available. Alpine Woods Estates has affordable monthly maintenance fees between $275.00 – $279.00 based on 2017 and could change slightly going into 2018 once the community finishes up the year end budget. Alpine Woods Estates is in good financial shape based on Recent sales and I have seen buyers buy with as little as 3% conventional down payment loan and currently trying to verify that a VA Loan got approved in the community in the last 12 months as well which would help veterans close on a nice property in the community with no money out of pocket. Alpine Woods Estates is a Governed by a Condo Association which sometimes makes it harder to get the lower down payment loans but reviewing recent sales and looking at the mortgage amounts based on what buyers paid for the property and the amount they financed 3% down payment is an option in this community depending on the buyer’s credit history. 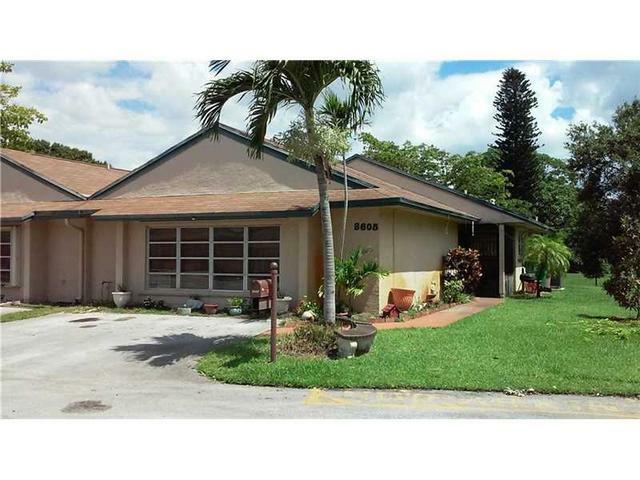 Contact by email or Phone #954-684-3664 to here more about buying in this community or others nearby. Thinking Of Selling Your Alpine Woods Estates Condo? If you are thinking of selling your property in the near future please contact me to get started, I am always available 7 days a week to sit down with you to discuss your options and to help you get the highest price as well as sell in a time frame that suits your needs. Why List With Me To Sell Your Home?